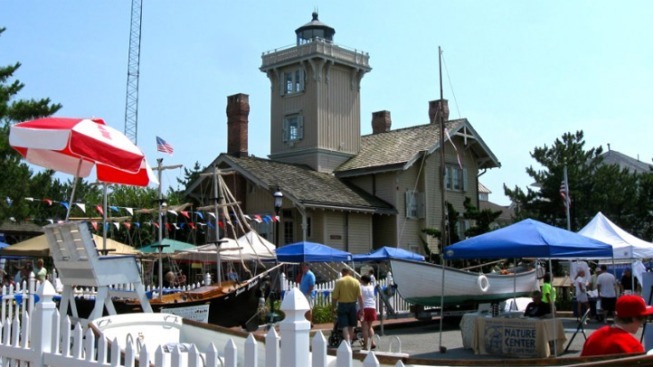 Today, an estimated 40,000 people visit the Hereford Inlet Lighthouse each year. "When they got in there in 1982, there was a foot of pigeon droppings,'' Steve Murray, chairman of the Friends of the Hereford Lighthouse, told The Press of Atlantic City. "It's our heritage. It's our culture. It's something everyone rallies around,'' Henfey said. "It brings a lot of people to town. No question,'' Henfey said. "I asked him `Will you take a picture of the lighthouse, the worst you can make it look, and he gave me a gorgeous picture of a rotten-looking lighthouse,'' she said. "We had a lease and it said we had five years to make one room habitable. We had Tony cut the ribbon in 10 months,'' she said. The lighthouse and its carefully maintained gardens (Murray's other passion) have won awards including recognition ``for meticulous restoration'' by the Victorian Society of America and recently Phyllis Catanoso was honored for the 50 years she has poured into the building. "I was surprised that so many volunteered to help. They were all so enthusiastic,'' she said.